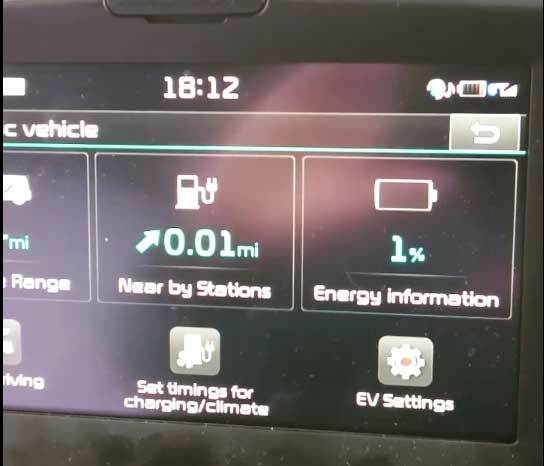 NIEVO member Darren Hanna talks us through his move to an EV plus the trials and tribulations of managing a long commute with a short range car. Is he heading back to an ICE? I’ve been driving for 29 years now, 90% of which has been in diesel cars. I have always been interested in transporting myself as cheaply as possible, for example I once built my own Bio-Diesel plant and also converted my Saab Coupe Turbo to LPG. My interest in Electric Cars began when a friend who owned a Subaru Impreza, much to my surprise, bought a Nissan Leaf. To cut this short, after a few conversations with him I bit the bullet and decided to take a test drive in a Leaf. My immediate thoughts were: this is weird, very quiet, nippy, quite well spec’d but to be frank, rather ugly (sorry Leaf owners). Some might say, pot calling the kettle black – The Soul is a Marmite car just like the Leaf. Due to it being a pleasant experience, I searched for other EV’s. 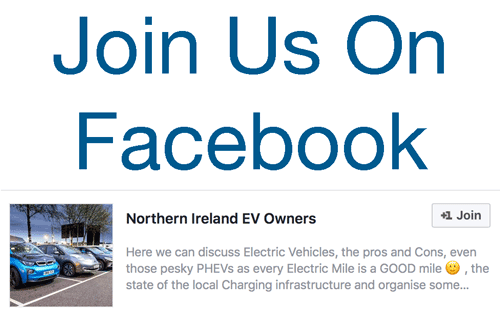 One evening on my way home from work I called in with Renault Ballymena to try out a Renault Zoe. In the end I didn’t even take it for a test drive as it was going to be £396pm for the Dynamique (this was before the unlimited rental for £110). I left Renault feeling dejected because of the astronomical price and I went home. As I passed Kia Coleraine on my usual route, I remembered 2 years previously they had launched the 1st Soul EV in NI. I called in and as you all know the rest is history. I bought my first ever EV. I drive 25-28k miles pa, 15,000 of which is getting to and from work. I was spending £300pm on Diesel alone. I will admit that my initial reason for moving to an EV was for the money savings. Buying and running an ICE car would cost a lot more based on the finance and Fuel/Tax costs. Now I have owned my car for 10 months, my views have changed. This quote sums it up well, we all know what our cars are capable of and what they are not. I mentioned the silence and the smooth driving. In the summer we drove to Dublin and back (390miles) in a day. We ended up leaving Dublin at 5pm on a Friday. This would normally have me pulling my hair out, but in the Soul it was super smooth, drama free driving. It took us 90 minutes to get out of the bumper to bumper traffic. The running cost of a Soul as with any EV’s is one of their advantages. For instance, if I was to fill the Soul from empty to full on my night rate it would cost me £1.75. That can be up to 110 miles for less than a Café Nero Latte. I can travel to work and back for a week for the price of a Big Mac meal. This is because the car is never empty (on average I have 50% in the battery). I fill my car to 100% every day before leaving on my commute. The Soul can manage my daily 64 mile commute even in the current weather. I have driven 23,000 miles since February. I will be honest there have been around 5 occasions that the limited range of the Soul has stopped me going somewhere, as I use the most of my charge on my commute. I once needed to use a taxi to get me home from Coleraine due to all the chargers being used, and I didn’t have enough range to get home (5 miles). This moves me onto the thorny subject of Public charging. I will say that I use public charging for about 50% of all my charging. I mentioned above how I needed a taxi to get home, this was due to the ESB app being faulty that day, telling me that 2 chargers in town were available. On arrival they were all full. This day it was 4 PHEV’s filling the spots, but it can also be BEV’s or even ICE’ing. I have never had any issues with ICE’ing in all my 23k miles. I use the Portrush rapid 4 nights a week, as I drop kids off for Cadet’s, Scouts etc. I can drop them off, nip over to Portrush, get a rapid charge and then go back to wait for them. I don’t do all 4 nights myself, my wife does a couple of them. That would be way too boring. This leads me to one of the issues I personally run into most often – people parking on a rapid charger and walking away for longer than the car needs to charge. Due to my location this tends to be more of an issue in the summer (Portrush). People tend to park, plug in the rapid and go walk the dog or go for a meal. My worst instance was when I needed to run to Ballycastle, a 50 mile round trip. I arrive with 12% and there is already a Leaf plugged in with no one to be seen. It was at 23% when I arrived and as it reaches 86% I lost patience and I unplugged them. I charged myself up to 84% which took 20-25 minutes. That was a total of 80-90 mins and they still hadn’t shown up – I feel this is down to lack of education via the Dealer’s. Rapid chargers are there to let us charge and move on. Having an empty car charging when you need to be somewhere, for me is the biggest frustration of my EV ownership. This problem will never get any better until Public Charging, rapid and slow, are more abundant. I am looking forward to what the future will bring in all things EV. Tesla definitely have the jump on all of the manufacturers as far as range and charging is concerned, but the next few years should change the limited choice of EV’s, and having more range should alleviate the need for much public charging. So would I return to another ICE car? Even with the few con’s I have mentioned I will NEVER own an Internal combustion engined car again! Take a test drive and you’ll be hooked too. 4 Comments on "Review: Soul Man Talks Big Miles & Low Range in the Kia"
Great review Darren and gives me confidence as I await delivery of my new SOUL EV. I’m just frustrated to still be waiting……..